Although most scuba dives are made with a buddy, an experienced diver may want or need to make dives without a partner. During the Self-Reliant Diver course, you learn about potential risks of diving alone and the value of equipment redundancy and necessary back-up gear. During the course you develop skills for self-reliance and independence, while becoming a stronger partner in a dive pair or team. 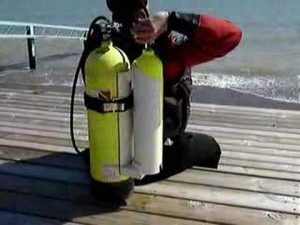 Equipment for Self Reliant Diving. Independent Management of Dive Emergencies . Be certified as a PADI Advanced Open Water Diver or have a qualifying certification from another training organisation. Successfully complete a dive skills assessment by a PADI Self-Reliant Diver Speciality Instructor. The course consists of three dives.